The GCRC is happy to announce some exciting news, and share the recent achievements for Chicago sustainability. The Green Chicago Restaurant Coalition is a charitable organization which helps the Chicago foodservice industry make responsible choices to reduce their environmental footprint. The GCRC also helps supports of the Green Movement by providing guaranteed green locations. The celebration will commence at the beautiful, sustainable, guaranteed green: Homestead – a farm-to-table restaurant, on Tuesday August 2nd at 5:30PM. 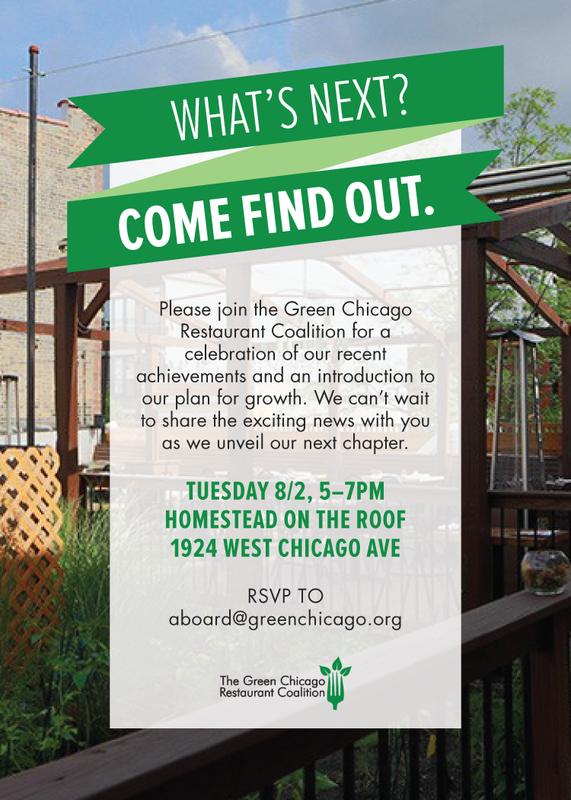 To RSVP please e-mail aboard@greenchicago.org. The Better Earth team looks forward to celebrating the achievements and the future growth of sustainability in Chicago!